I’m almost embarrassed by how often this dress has appeared on the blog lately. Here it is in my Clinique post, there it is at Killashee and look, here’s one that didn’t make it into my post on Chanel’s new nail polish range (which is excellent, as a side note; read my review here) because I want you to know that I do actually own more than one dress. Obviously, though, this is my current favourite; I like it because it ticks all of my boxes. The colour and print are cheery, and evocative of warmer weather (the print is a coral reef, just fyi). 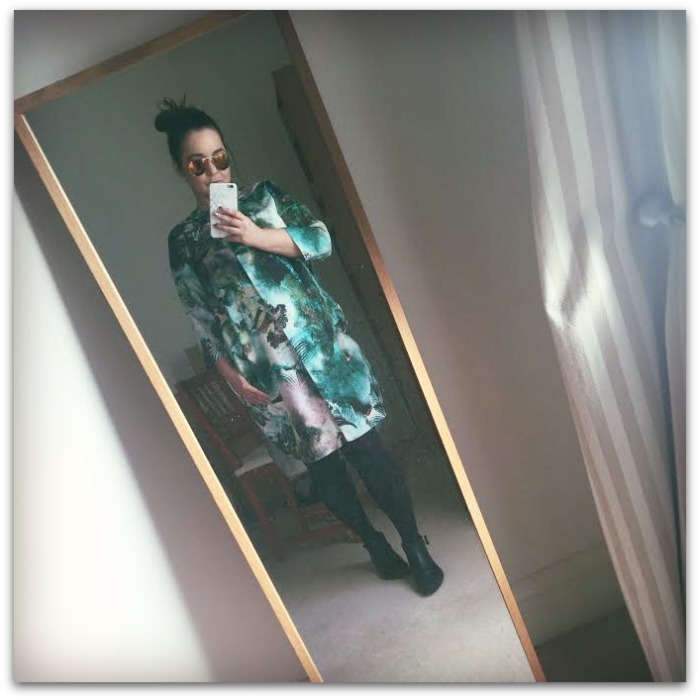 Shirt dresses are both on-trend and ridiculously easy to wear; they look good with tights and boots in colder weather and bare legs and sandals/trainers when things start to warm up. Sleeves and pockets are hard to come by in a dress, and this baby’s got both. And finally, it’s from Dresses.ie, an Irish website that has recently rebranded with an expanded fashion offering; I’ve also got my eye on this deliciously slouchy pink coat. Are you guilty of wearing your favourite pieces again and again?